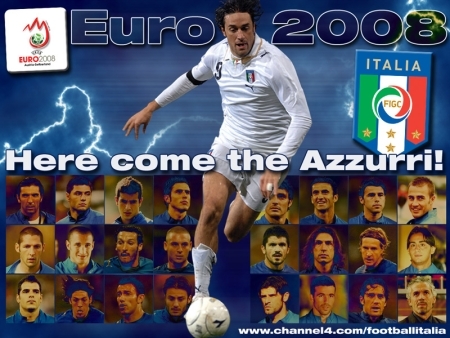 Tuesday morning in a press conference in Rome, the Azzurri coach announced his pre-selection for Euro 2008: 24 players (4 less than what everyone anticipated, and 1 to be trimmed down before May 28) which will be representing Italy in this Summer’s great European tournament. 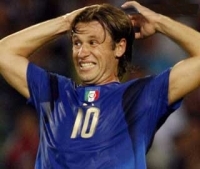 So yeah, as you can see the never-ending issue “Del Piero vs. Cassano, which one to pick?” ended with the Don… selecting both. For Italy, I guess that can only be a positive thing: more talent to spare. We can only hope that the Sampdoria forward will keep the potential “Cassanata” locked in a drawer. Other stuff worth the mention is the non-selection of Filippo Inzaghi & Massimo Oddo (technical choice) as well as that of Vincenzo Iaquinta (injury). In addition, Donadoni picked 24 players (i.e. 1 more than necessary) to begin pre-Euro training on Sunday, meaning one of them will have to leave the group on May 28 (date when the final lists have to be submitted to UEFA). In all likelihood, that player will either be Riccardo Montolivo (more likely) or Alberto Aquilani (less likely): despite the Fiorentina player’s recent run of form, Aquilani’s just been with the Azzurri group longer (albeit playing less and less with Roma recently). CONTRACT – Aside from Euro 2008, Abete has settled the situation with Donadoni: a two year contract (up to and including the next World Cup). The agreement includes a free and reciprocal annulment clause, which can be activated to end the agreement within 10 days of the end of the European Championship. “I would like to thank President Giancarlo Abete for his recognition of my work. 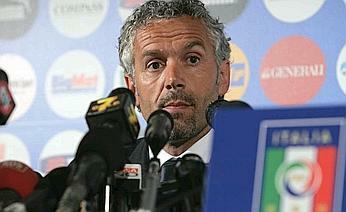 If Euro 2008 goes badly, I shall leave, there will be no need for the annulment clause,” Donadoni concluded. Go bad? Let’s all hope that it won’t huh? You can further discuss the selections at BigSoccer.com here. 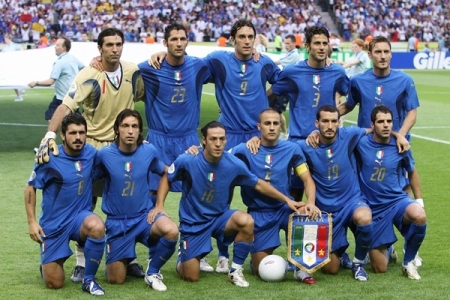 This entry was posted on Tuesday, May 20th, 2008 at 9:15 pm	and is filed under Azzurri, Euro 2008. You can follow any responses to this entry through the RSS 2.0 feed. Both comments and pings are currently closed. What is done is done.. What Roberto Donadoni made decision is already fixed.. Here come Azzurri 24 players that are coming to Switzerland Austria.. All we can do is to believe in Donadoni squads to make it to the top Champions EURO 2008… Amin!! 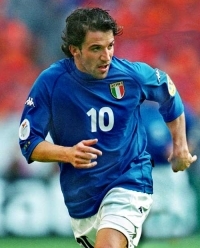 All we can do is to pray to our Italy teams, so that we Italy will become EURO Champions 2008.. Although i don’t have any money to come to Switzerland Austria stadiums to watch my Italy figth for the Champions but still i can support, pray and watch from live television.. C’mon guys and gurls.. ITALIA!! ITALIA!! ITALIA!! 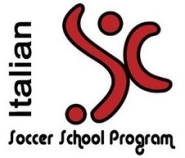 PS-> To all Italy squads, members, familys and fans out there, Good Luck.. Let fight together till the End!! Play well at the tournament guys ok!! I believe in you all.. GO AZZURRI!!!!!! !